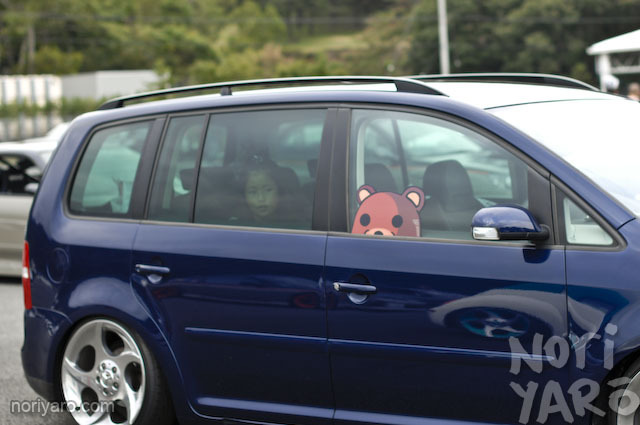 Heres part two of what I saw at the Hellaflush event at Fuji Speedway. Overall, it seemed to be a very enjoyable event. Something about it just felt a bit “fresher” than the usual sort of VIP or dress-up-car events you see here. Of course, I’ll take a drifting event any day of the week, so here’s Miura-san’s FR-converted WRX drift wagon. Subaru owners take note; the guy who drives this car works at Subaru as a test driver, and is one of the people responsible for adjusting the factory handling characteristics. He’s also a rather good drifter. 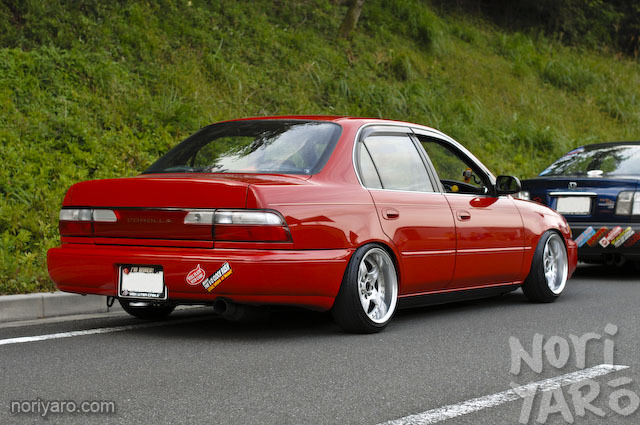 Of course, Japan is where the whole stretched tyre, camber and flush thing started. 396 Ishiai was passed out in the driver’s seat when I arrived. Here’s a spy-shot of the Cyber Evos’ front under-spoiler. 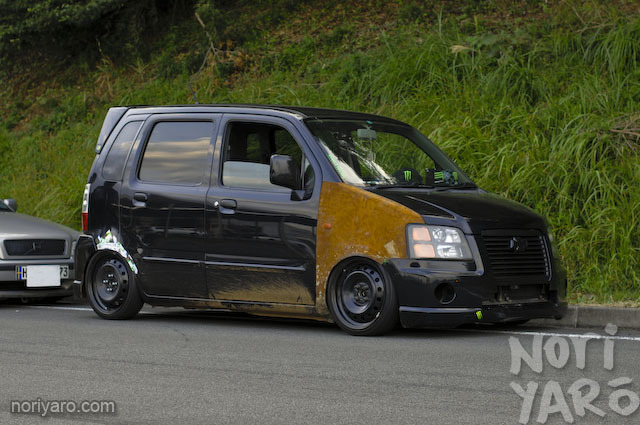 About ten different modifying styles have just collided. 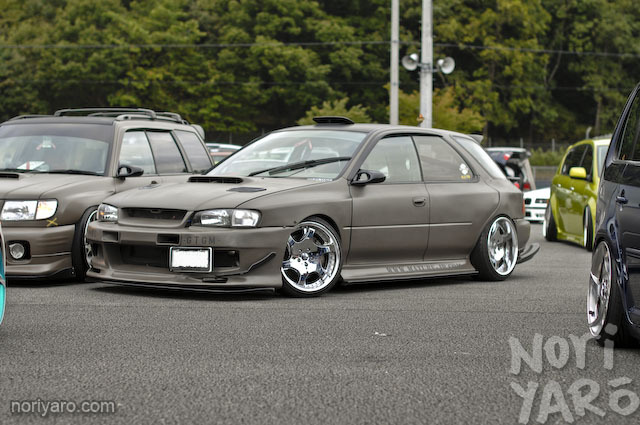 I like this Wagon R for some reason. Now here’s a car that makes sense. Let’s just say you need a cheap daily to drive around in while your proper car is being worked on/is broken/eats too much petrol to use every day/keeps getting pulled over by the police. 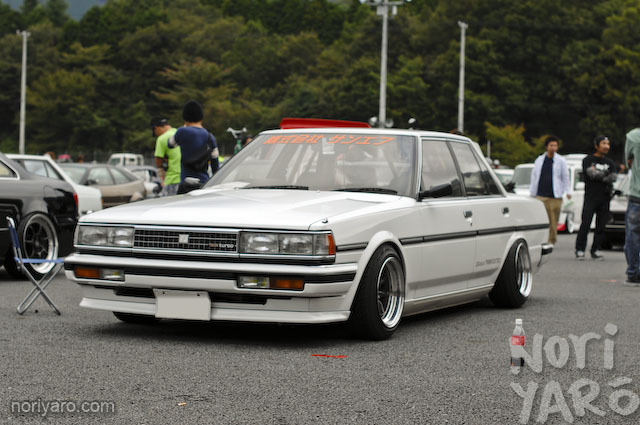 How about a cheapo Corolla on some nice dished wheels at a sensible height? If it was white, you’d never even need to service it or even put oil in it, because it’s a Toyota. Anyway, it was about this time when people were heading home. Now at a parking-lot event like this, you’re always going to get guys who are all gee’d up and spin their wheels as they leave. Well, sometimes people take things a bit too far. Of course, everyone went out to watch. The back of Fuji Speedway suddenly turned into the docks in Tokyo. 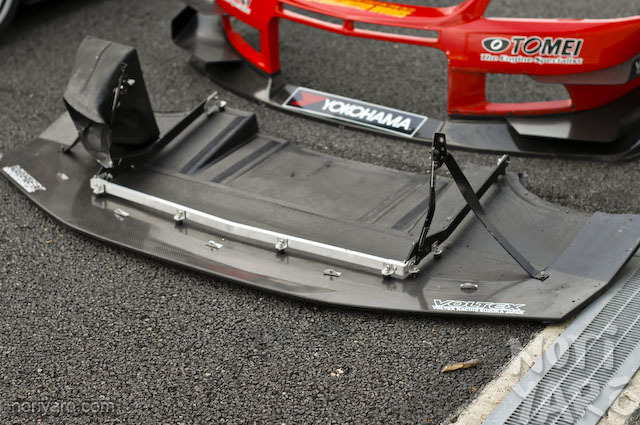 …the problem is that it’s incredibly disrespectful, both to the organisers and the circuit. The worst part of this was the chap in the S14 actually had a big crash down the end of that road after security turned up. It was a bit dark when I drove past, and he was surrounded by Fuji Speedway’s patrol cars, but the car looked pretty totalled. 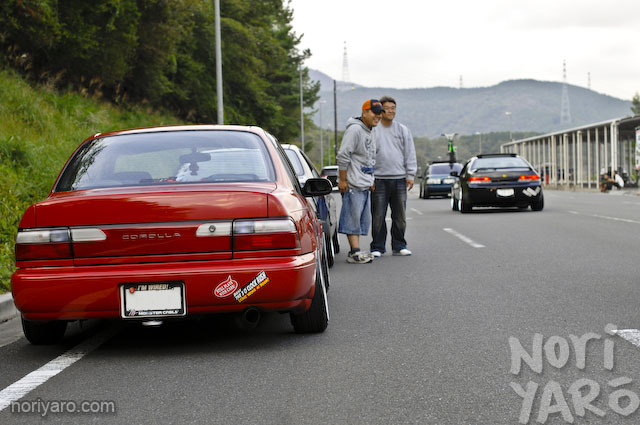 Don’t Be a Menace to Fuji Speedway While Leaving the Venue in Your Silvia. About the 90, needs to be slammed!!!!! Would look a lot better imo. Its strange seeing steel wheels on cars over there though i have to admit. nice photos A. like the subby :), also I’m new here. and i liked the site on facebook xD. 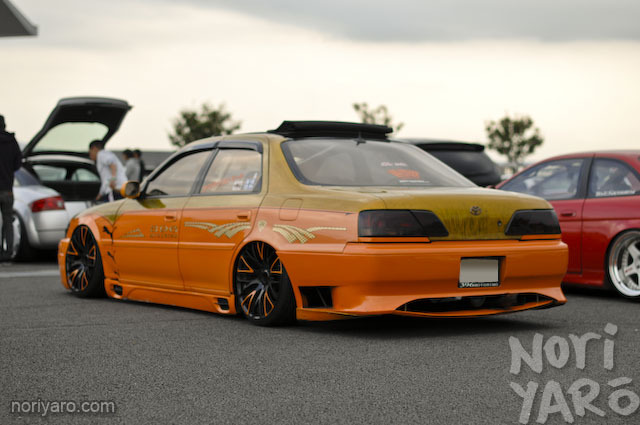 Also is that a chargespeed body kit on the subby? gotttt to make a wallpaper of the rex wagon and hawkeye! That’s just awesome. 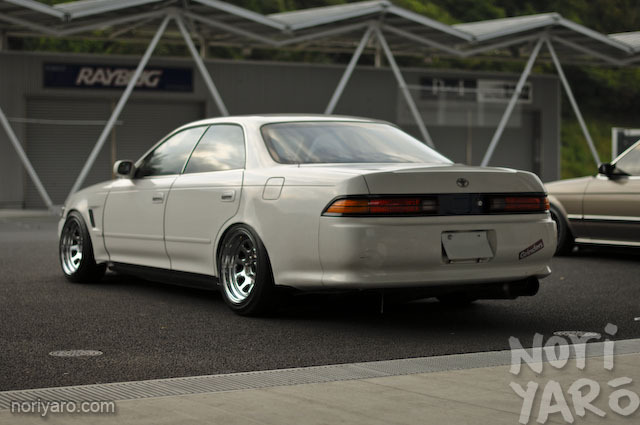 Too bad about the S14. How does the picture of the 90 make me feel? With the diamond racing wheels it makes me feel like i am looking at a Japanese Commodore. Anymore pictures of it pretty please? what wheels does the mark II have? love the dont be a menace refference. 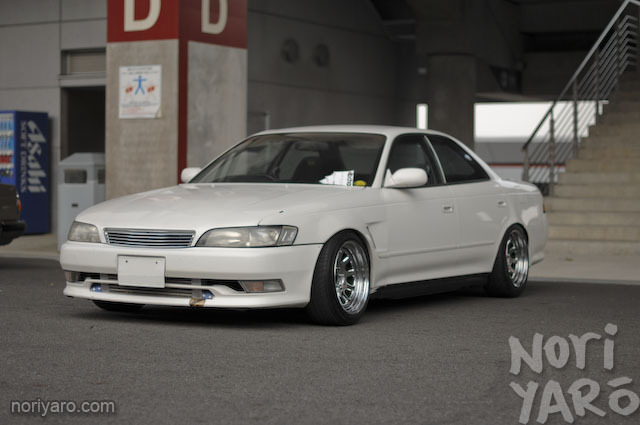 That s14 looked really really good, its too bad the guy had to be a dope. 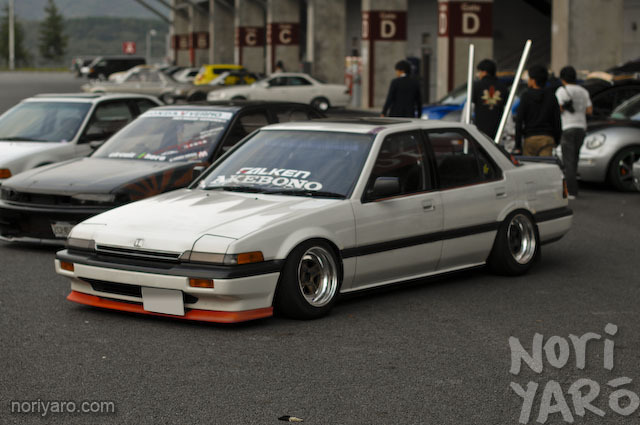 THAT corolla!!! Any more pics?! 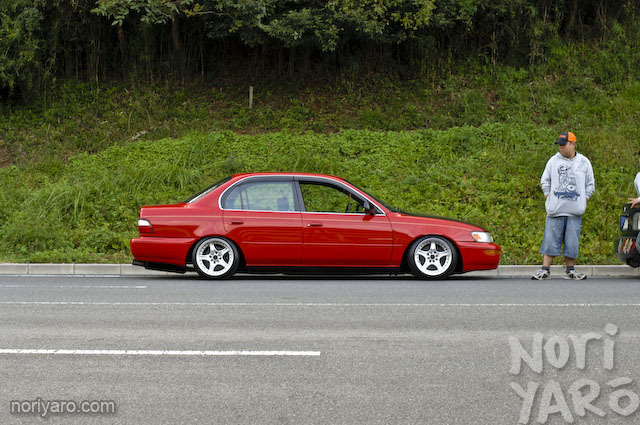 hi.. i was just browsing the web.. when the corolla caught my attention, just wanted to know the RIM size and tire size.. also the ride height or drop.. i’m thinking about this as our my project. car wanted my car to look like this.. ^^ thanks.. please msg me @ my email: majacorn28@gmail.com to any one who knows.. Thanks in advance.. I have a 94 corolla and i wanted to know if i could get help getting it hellaflush What all did you do to get the red 94-97 corolla flush.